MOTIONLESS IN WHITE has announced a second leg of its North American "Graveyard Shift" tour. 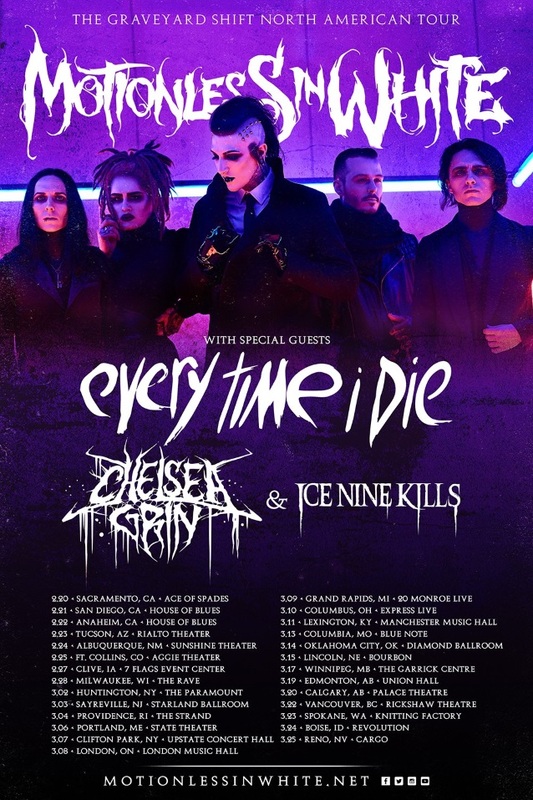 The headline dates, which will feature support from special guests EVERY TIME I DIE, CHELSEA GRIN and ICE NINE KILLS, are set to get underway February 20 at Ace of Spades in Sacramento, California and continue through late March. VIP pre-sale tickets for the tour will be available, Tuesday, December 12 at 10:00 a.m. local time. A special BLABBERMOUTH.NET presale will begin on Wednesday, December 13 at 10:00 a.m. local time and end on Thursday, December 14 at 10:00 p.m. local time. 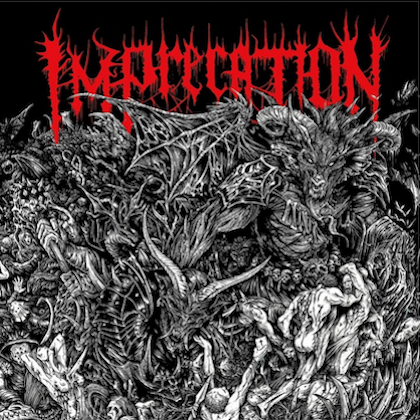 When prompted, type in the presale code "BLABBERMOUTH" to access tickets before the general public. The general on-sale for U.S. dates is Friday, December 15 at 10:00 a.m. local time. 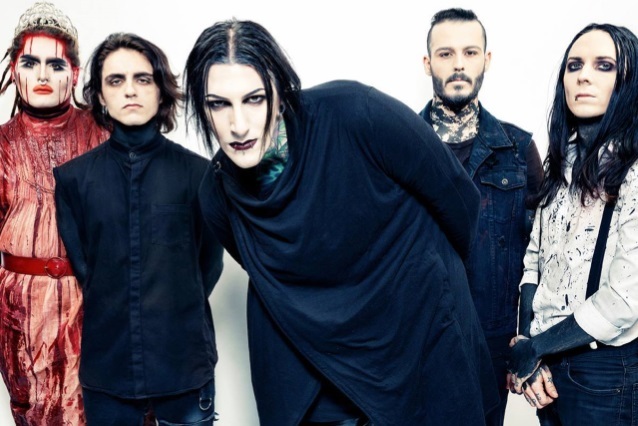 Earlier this year MOTIONLESS IN WHITE shared its official music video for "Necessary Evil", which was directed by Max Moore (CODE ORANGE, OF MICE & MEN). "Necessary Evil" — currently Top 30 at Active Rock radio outlets — is featured on the band's new album, "Graveyard Shift", which arrived earlier this year at #1 on Billboard's Hard Rock Albums chart marking MOTIONLESS IN WHITE's second consecutive #1 on the chart. "Graveyard Shift" follows 2014's chart-topping "Reincarnate", which debuted at #1 on Billboard's Top Rock Albums chart as well as at #9 on the overall Billboard 200. 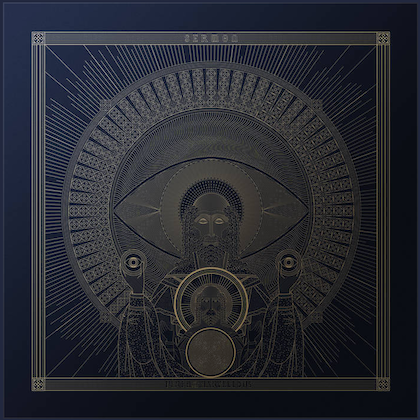 MOTIONLESS IN WHITE's third studio album was highlighted by the blockbuster title track, a top 20 Active Rock radio favorite accompanied by a striking companion video now boasting nearly 14 million individual views at YouTube alone. Founded in 2005, MOTIONLESS IN WHITE has won over audiences worldwide with their aggressive music and arresting imagery. The band — currently comprising lead singer Chris Motionless, guitarists Ryan Sitkowski and Ricky Horror, bassist Devin "Ghost" Sola, and drummer Vinny Mauro — have proven a ferocious and inventive live act, earning an increasingly fervent fan following via countless headline shows, festival sets, and tours alongside such iconic acts as SLIPKNOT, KORN and BREAKING BENJAMIN.